West Coast singer Lee Harvey is fairly widely known for his work with Mel Alexander but although his uptempo material has received some attention nobody has really considered the full range of this talented artist. Listening to him now it’s easy to come to the conclusion that like just about every other soul singer from that part of the world Lee owed a musical debt to Sam Cooke. But it seems that Lee claimed that he assisted Cooke to achieve his effortless style. Shades of Ray Charles and Alvin Robinson! Although all his tracks were strong LA R & B, the first real 5 star cut was the pounding "Prove It" with some stinging lead guitar (who?) and a powerful horn section. No wonder this made appearances on several labels. 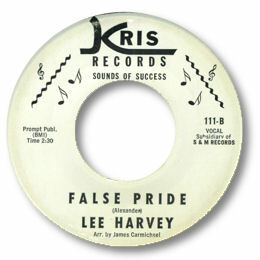 The earliest of his two great ballads was False Pride. Lee’s rich, melodic baritone brought the best out of this cautionary tale. Triplet piano, tsteful guitar and big horns make this a deep soul ballad in the classical mould. The less interesting punchy flip was also covered by Kris label mate Cookie Jackson. What Is It reused the excellent backing track to "False Pride" but Lee's new vocal seems a bit more assured and forceful making it the preferred cut by a short head. 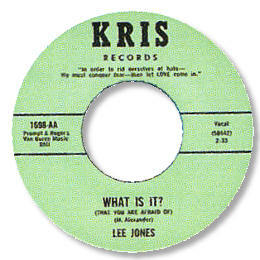 Lee also used the surname “Jones” later in his career – apparently to avoid inadvertent contamination with President Kennedy’s assassin. 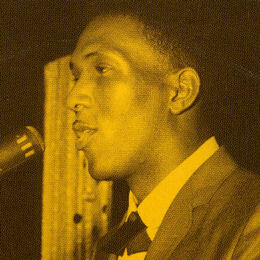 He passed away shortly after the last of his 45s hit the streets.